The Civil Service Rifle Corps was formed as a volunteer company in Quebec City in 1861 from members of the civil service. When the civil service moved to Ottawa in 1865 the Corps came with it. The Prince of Wales (later King Edward VII) became their Honorary Colonel and they adopted the Prince of Wale’s plumes as their badge. 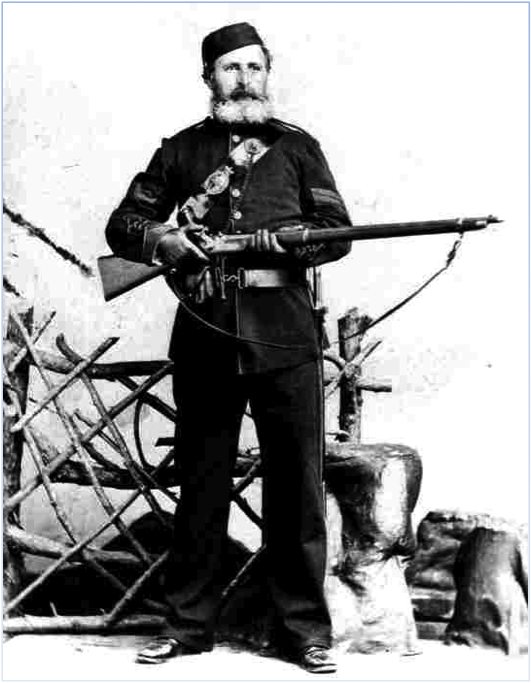 The Corps was called out on active service because of the Fenian threat in 1866 and later that year expanded to battalion size and became the Civil Service Rifle Regiment. The Regiment was disbanded in 1868 but members carried on as the Civil Service of Canada Drill Association. They became the Civil Service Rifle Company in 1870 and a second company was added in 1871. The Regiment was formed under Lieutenant-Colonel Thomas Ross on June 7th, 1872. The two Civil Service Rifle Companies became Numbers 1 and 2 Companies of the Regiment. Thomas Ross was a Brevet Lieutenant Colonel in the Ottawa Brigade of Garrison Artillery when he made application to have the Guards created, “to add pomp and circumstance to the new capital”. But, it was in his civilian capacity that he was able to convince the minister of militia of his ideas. As a clerk in the finance department for the Government of Canada he held considerable power and eventually became the highest paid civil servant. 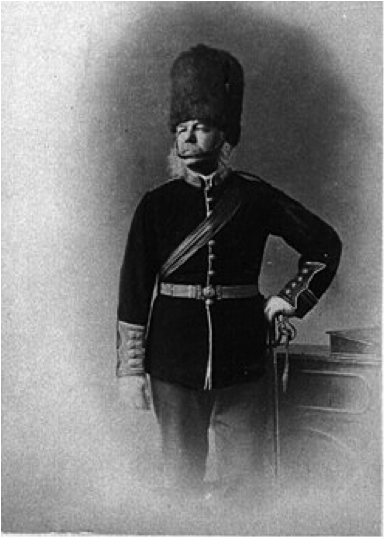 LCol Ross commanded until 1886. In 1884, Canada sent a contingent of boatmen with the Nile Expedition to assist in navigating the Nile River to relieve General Gordon at Khartoum. Among these volunteers was Captain Telmont Aumond, who was second-in-command of the contingent, and four other soldiers who were all members of the Regiment. 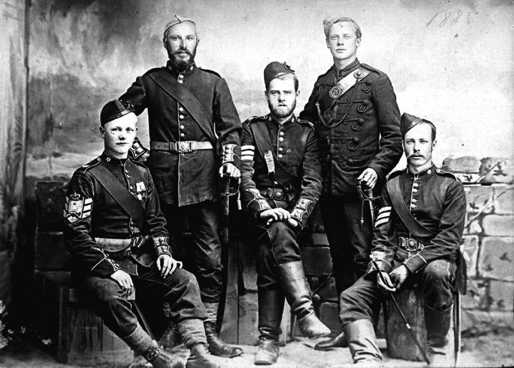 In 1885 the Regiment sent a company to North West Canada to help quell the Riel Rebellion. All members of the company were selected because they were expert shots and as a result they were known at “The Sharpshooters”. 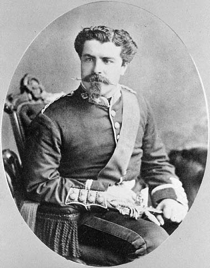 They formed part of Colonel Otter’s column that relieved the town of Battleford on April 24th. On May 2nd members of the Regiment came under fire for the first time at the Battle of Cut Knife Hill. It was here that the Regiment suffered its first fatalities; Privates William Osgoode and John Rogers. The Regiment sent four officers and sixty soldiers to the various contingents that went to fight in the South African War. One member of the Regiment, Corporal Cuthbert T. Thomas, was killed at the Battle of Paardeberg on February 27th, 1900. The Regiment sent drafts of men to several units that were formed to serve overseas; the largest drafts being sent to the 2nd and 77th Battalions. The 2nd Battalion fought in all the major actions in France and Flanders including the first gas attack at Ypres, Vimy Ridge, and Passchendaele. They were known as the “Iron Second” for their toughness in action. The 77th Battalion was broken up to provide reinforcements to the Canadian Corps. The honours and traditions of these battalions are perpetuated by the Regiment. The Regiment provided details for the security of vital points in Ottawa at the beginning of the war and was mobilized as a regiment in May 1940. The battalion was converted to an armoured role in 1942 and assumed an additional prefix name to become the “21st Canadian Armoured Regiment (G.G.F.G.)”. The Regiment landed in France in 1944 and served with distinction throughout the North West European Campaign. The 1st Battalion reverted to its pre-war role in 1945. A 2nd Battalion was formed in 1940 and served as part of the Reserve Army in Ottawa until disbanded in 1946. 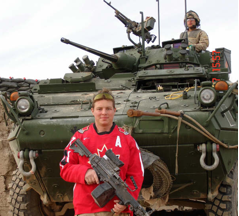 Since World War II the Regiment has continued to serve Canada and more particularly the National Capital Region as a Part time Reserve Infantry Unit, Training in public duties on Parliament Hill, and participating in field training exercises. In 1998 the Regiment mobilized all members to provide support to Operation Recuperation which was the CF response to the Ice Storm which affected much of Eastern Ontario and Western Quebec. Number 1 Company was centered in the area of Avonmore, Cassleman, Finch and Moose Creek. In 1999 the Regiment received the Freedom of the Township of North Stormont. In the early 1990s the Regiment, like all Primary Reserve units in the Canadian Forces saw increased participation in international operations. To date soldiers of the Regiment have served in Cyprus, Somalia, the Former Yugoslavia, Croatia, Bosnia-Herzegovina, Eritrea, Sierra Leone, Haiti, Sudan and Afghanistan.